On our second day in Siem Reap, we woke up as early as 4.30am to catch the sunrise at Angkor Wat. 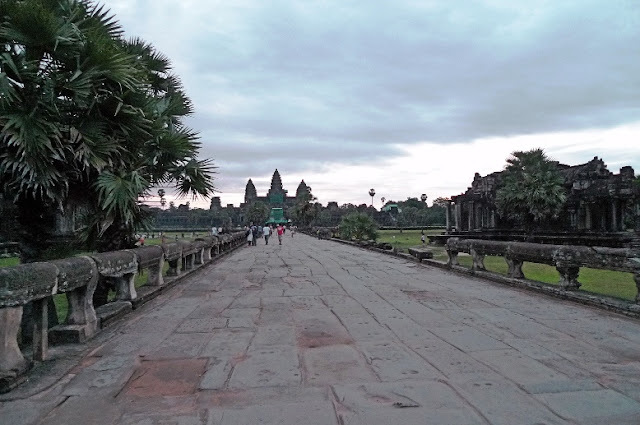 I know it's crazy to wake up so early, but watching the sunrise at Angkor Wat is a MUST DO activity for any first timer to Cambodia. Our driver Xiao He came at about 5am to pick Jam, his friend and I up. 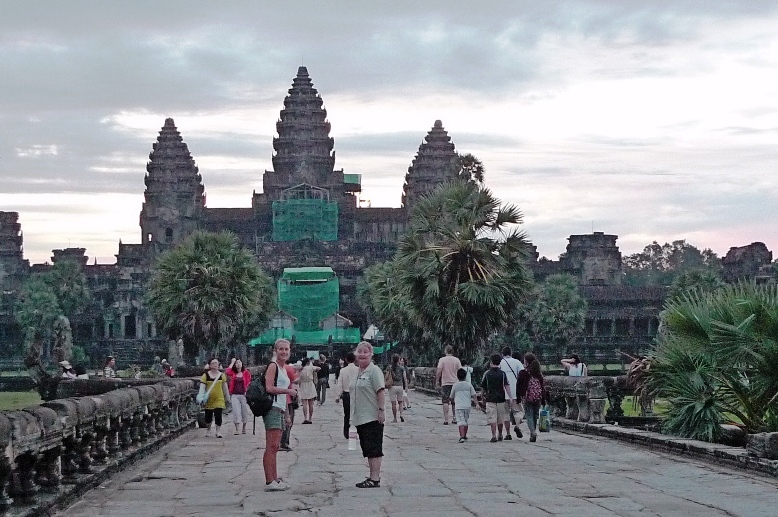 By the time we reached Angkor Wat, it was already 5.30am. It was still dark, but amazingly, there were already a lot of tourists there! Somehow, I had a feeling we were late. 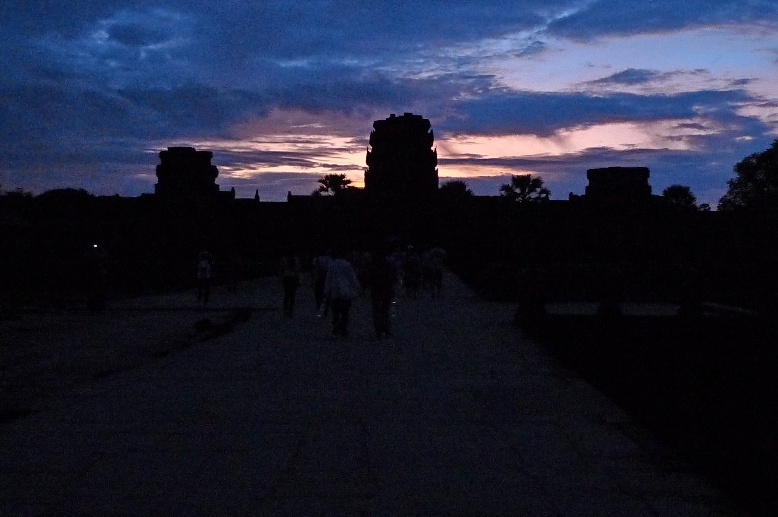 The sky was rapidly getting brighter as we walked towards the gopura entrance! Oh no! As we walked along the causeway towards the temple, it was already quite bright! We should have ran! 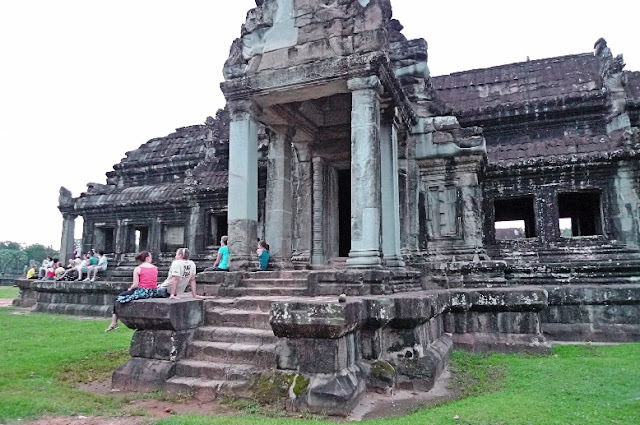 The best location to view the sunrise is at the lake in front of the northern part of the Angkor Wat temple. This is because the temple would be reflected on the lake making it a very picturesque scene. We hurried over to the lake. I snapped this photo but my worst fear was confirmed. There was no sunrise - We missed it!! 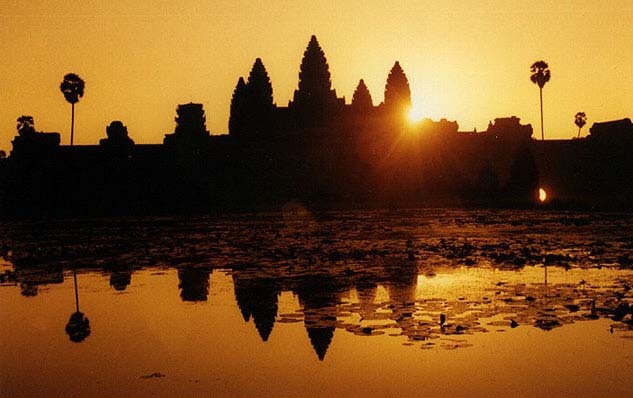 Here's a proper photo of the sunrise at Angkor Wat which I found online. Notice the sun coming out from behind the quincunx of towers. Awesome! Lots of tourists were there taking photos of the "sunrise". Obviously those who were there much earlier had already taken theirs and were seen just sitting or walking around enjoying the scenery. 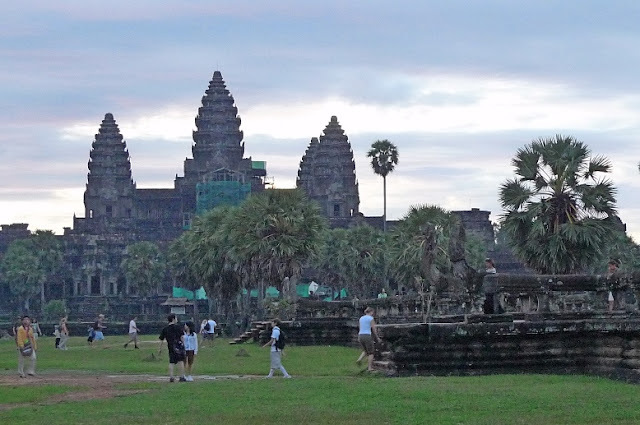 Moral of the story here : If you plan to watch the sunrise at Angkor Wat, make sure you be there at the lake by 5am at the latest! As we left Angkor Wat, we could see many tourists entering. 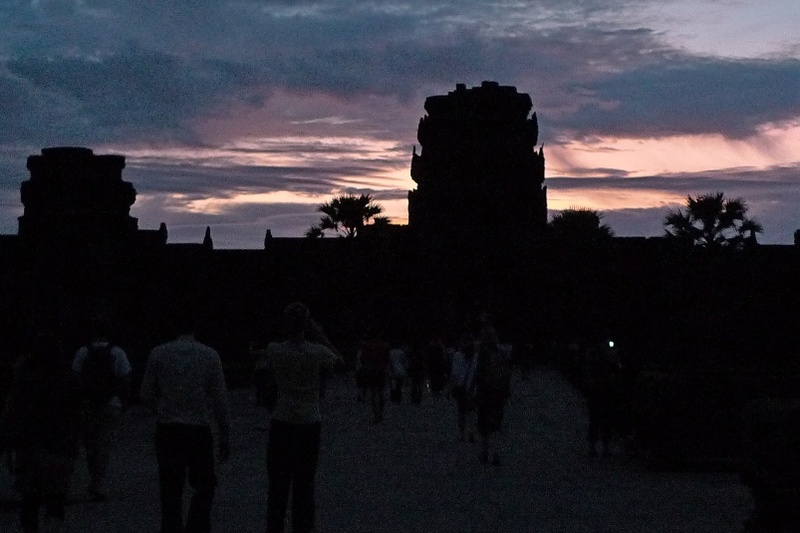 These tourists were not there to catch the sunrise, but to visit the Angkor Wat temple. 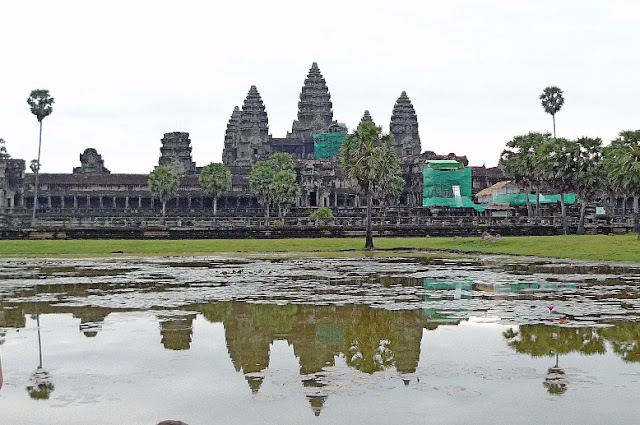 Glancing back, I bade farewell to Angkor Wat. We would not be returning here after this. 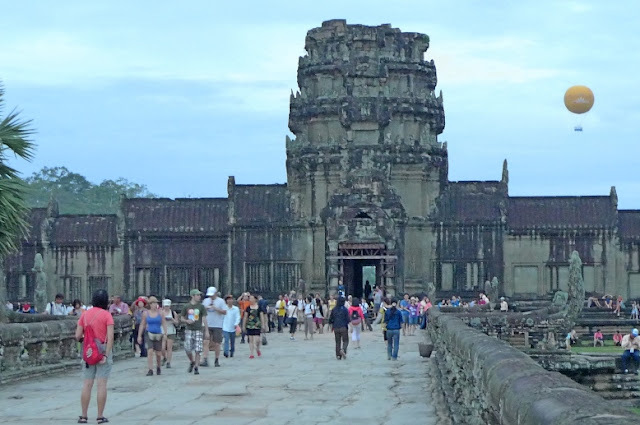 Next on our itinerary was Angkor Thom. 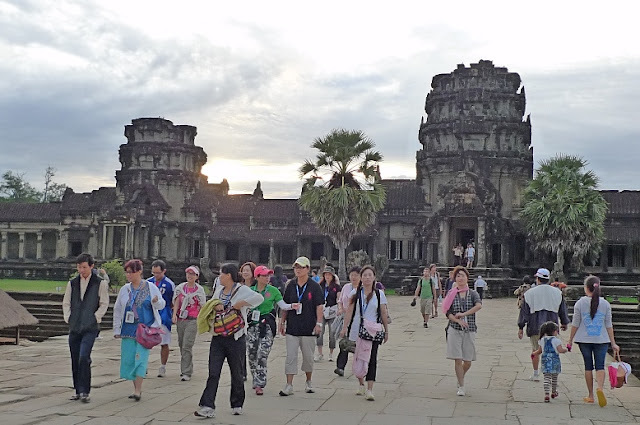 Yes, we had visited there on our first day when we visited Bayon Temple, located in the middle of Angkor Thom. But this time, we would be visiting other temples in the area. But first, we had to eat breakfast! 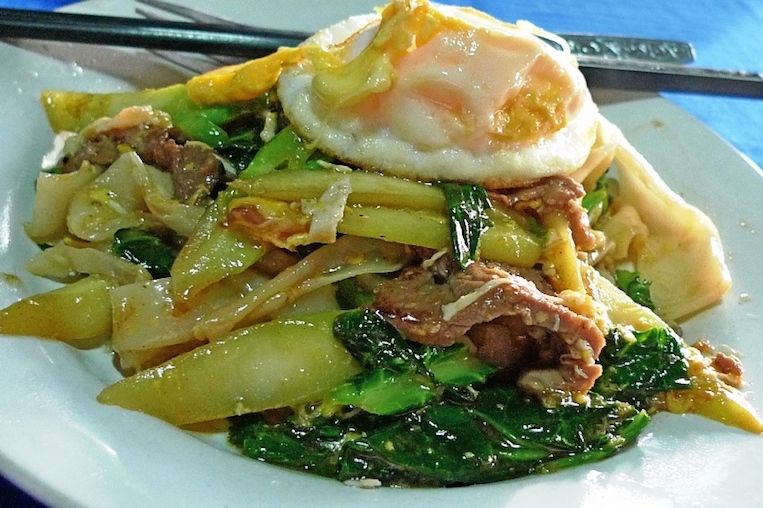 Our driver led us to a restaurant called Angkor Reach Restaurant. 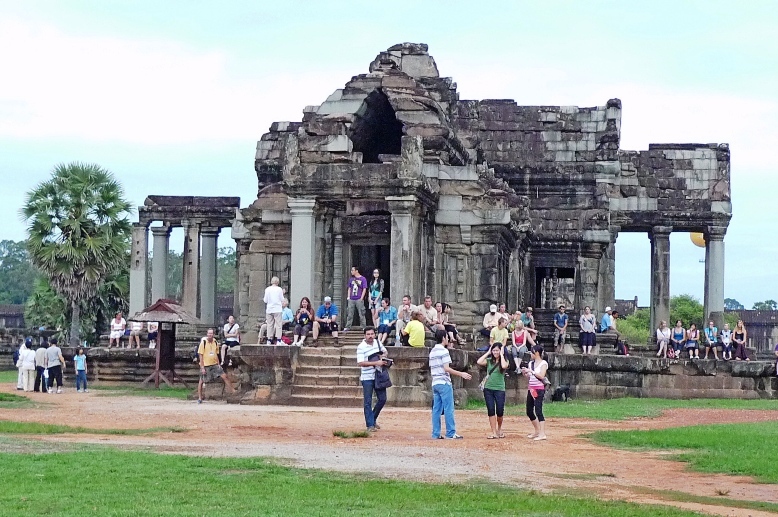 It is located just outside Angkor Wat, within walking distance. Jam's friend ate this - I can't remember what it was - perhaps noodles with omelette, meat and lots of vegetables on top? Jam and I went for the bread. 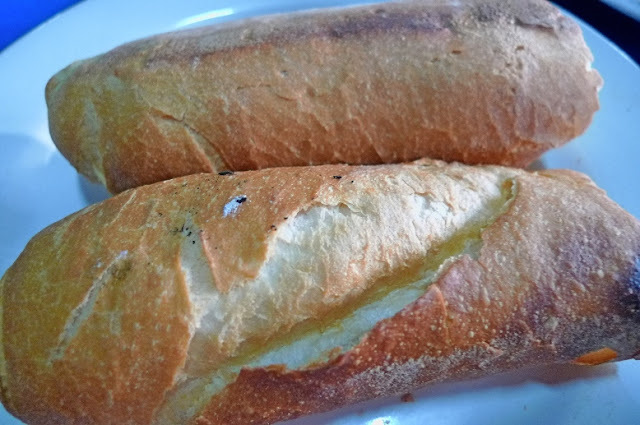 What came with the bread? 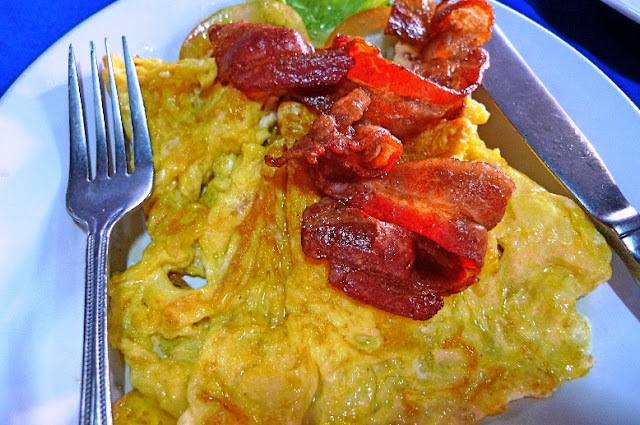 Omelette and bacon! We stuffed the omelette and bacon into the bread. It was delicious! 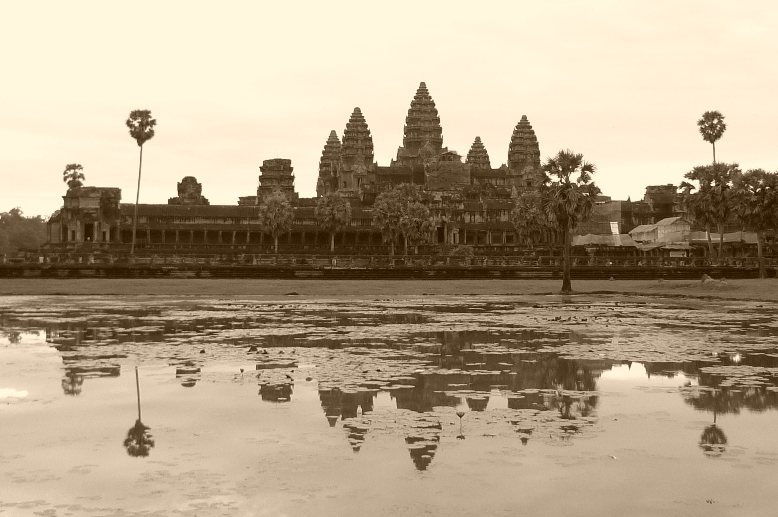 OK, since I did not take a good photo of the sunrise at Angkor Wat, I might as well change my photo into sepia mode. Now, does this look like a picture taken out of a history book? I thought it looks much better this way, don't you think?